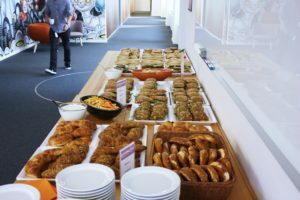 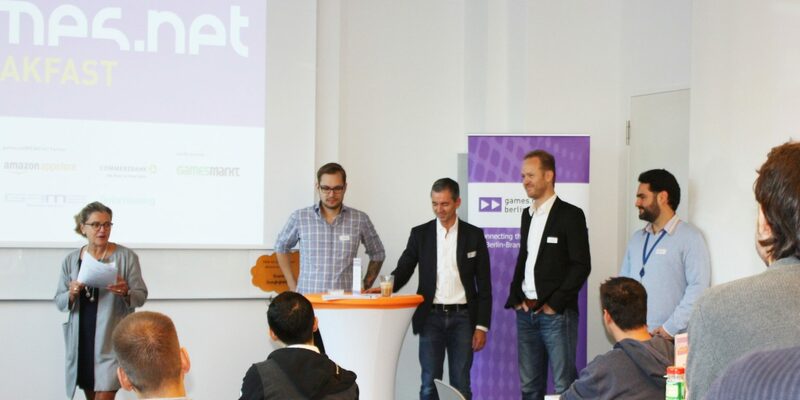 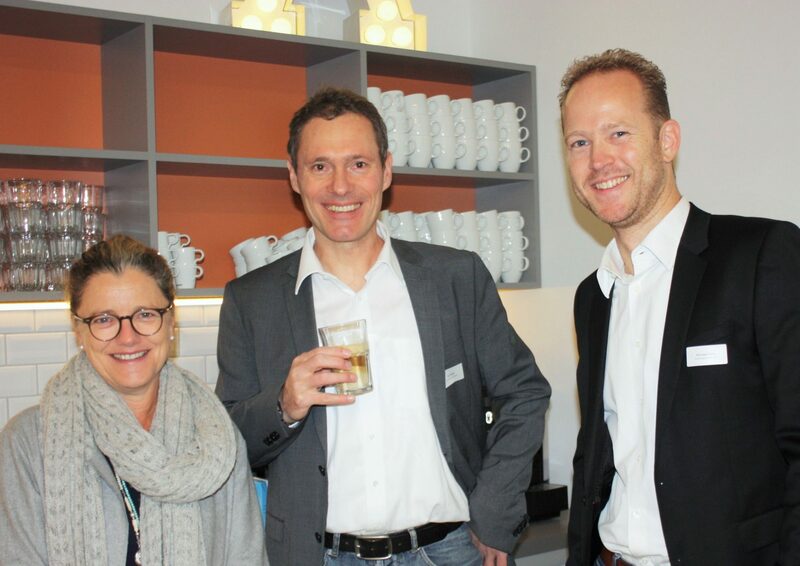 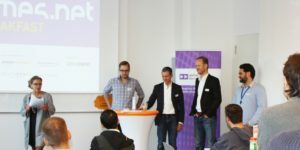 10th games:net BREAKFAST | media:net berlinbrandenburg e.V. 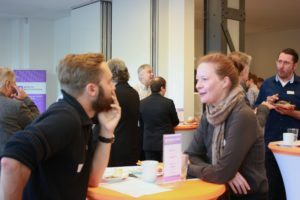 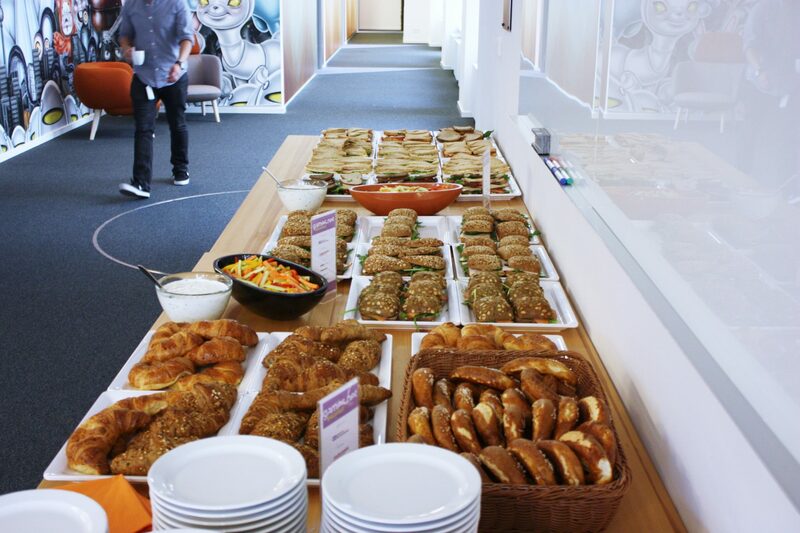 games:net BREAKFAST is the exclusive platform to create key contacts between the relevant players in the game industry: developers, distributors and institutions. 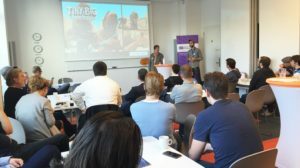 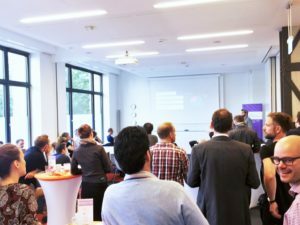 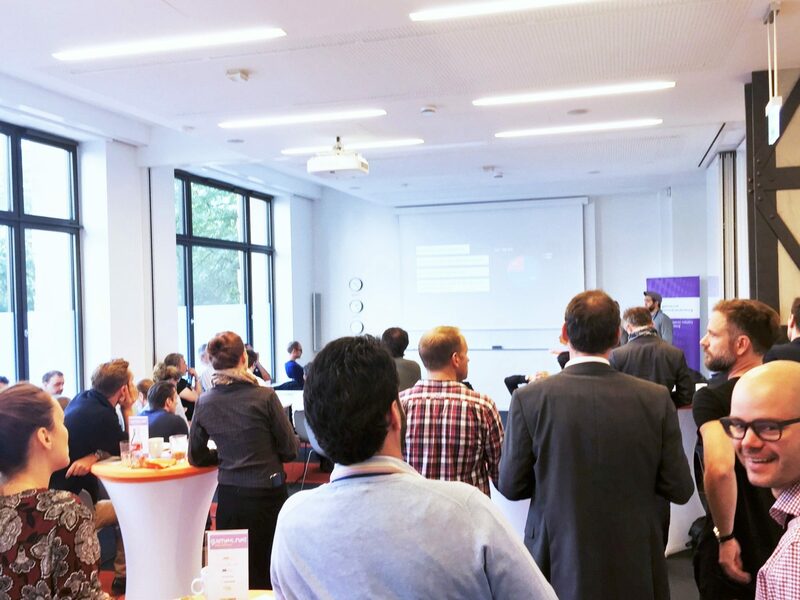 games.net, an initiative of the Medienboard Berlin-Brandenburg, promotes the success of the games industry in the capital region. Andrea Peters (media:net berlinbrandenburg), Esther Rothstegge (Medienboard Berlin-Brandenburg), Timm Walter (GAME Bundesverband e.V.) 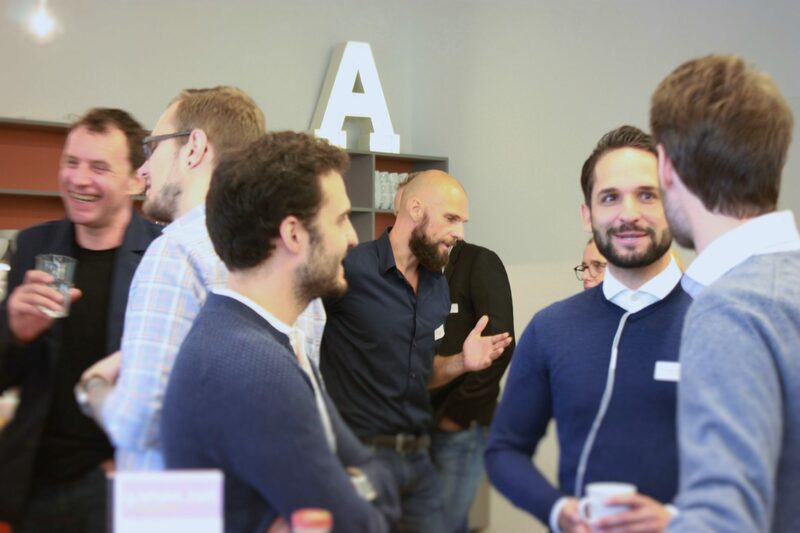 and Michael Gens (Commerzbank) and Dr. Gregor Schmid (Taylor Wessing) were proud to welcome around 50 guests to enable the synergies of tomorrow. This time the WAKE UP TALK focused on mobile games. 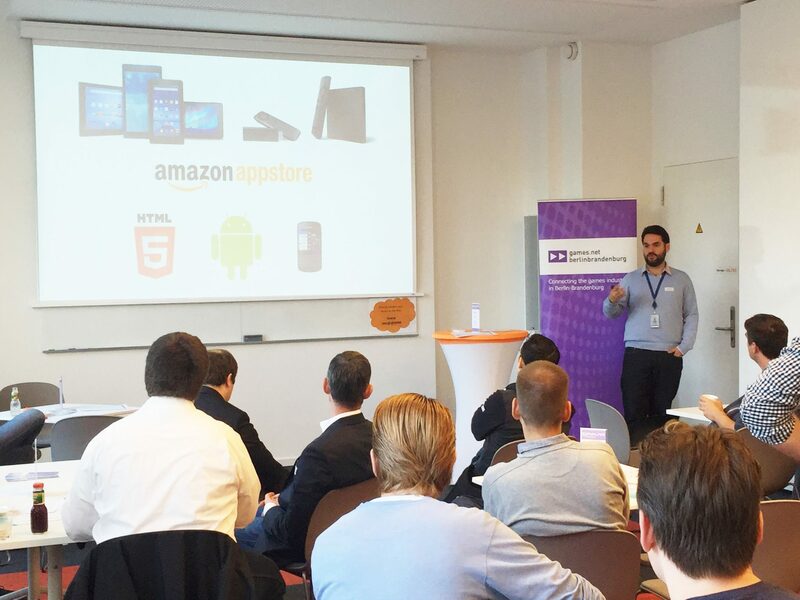 Our host Carlos Lievano (Amazone Appstore) spotlighted the activities of Amazon Appstore, amongst others how Amazon Underground enables higher engagement for the players. Our WAKE UP guests Sebastian Stamm (CEO) and Tobias Bilgeri (Game Designer) of Black Pants Studios presented their work from their beginning until today. Together with our guests we had the opportunity to deepen the discussion after the WAKE UP TALK while enjoying the delicious buffet. 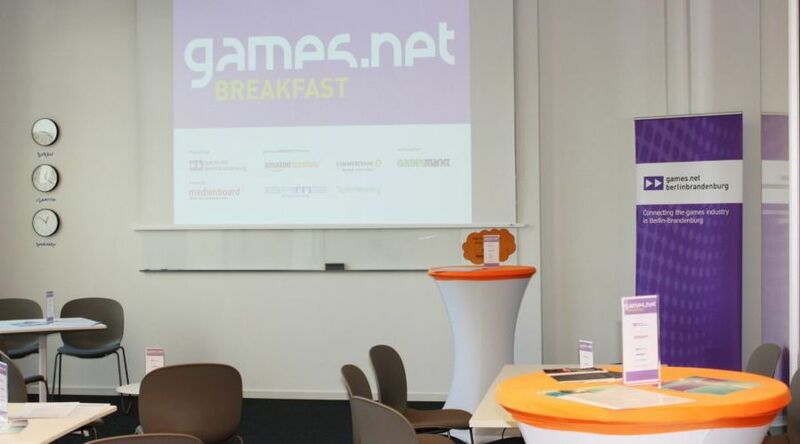 Special thanks to our guests, our WAKE UP Talk participants, our games.net BREAKFAST Partners Amazon Appstore, Commerzbank, GAME Bundesverband e.V., Taylor Wessing and our media partner GamesMarkt as well as the funder of the games.net initiative, the Medienboard Berlin-Brandenburg GmbH – and the Team around Carlos Lievano of Amazon Appstore.